You might have heard that there are three chords which, if you learn them, you can play just about any song in the world. It’s true. So many songs only use three chords and many more can be boiled down to only three. The reason for this is that these chords form the main building blocks of our western scale. 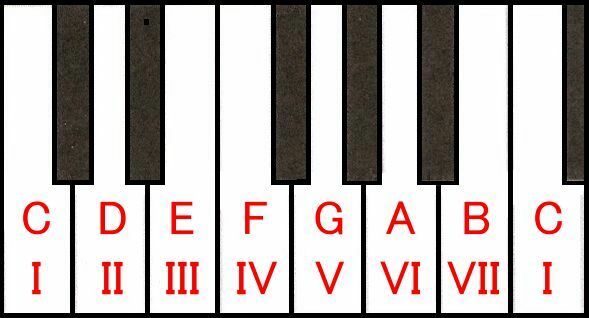 In any key, the chords are known as I, IV, and V (1, 4 and 5). They are the pillars that will hold up the structure of the music when everything else is stripped away. 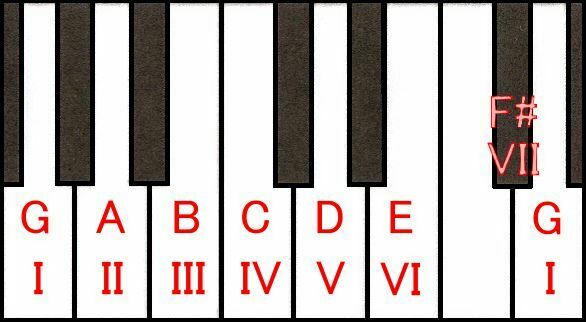 It is customary to write harmony (chords) in roman numerals. This is handy as you don’t get it confused with any other number; you see a roman numeral in music and you know we’re talking about harmony. Chord I is the home chord. The music needs to come here to sound finished, therefore most songs end on chord I. If you want your music to sound unresolved, finish on any chord apart from I.
Chord IV the ‘subdominant’ (the most dominant chord after the dominant). So you can find chords I, IV and V by counting up the notes. You may be able to just work it out aurally by finding thee chords that feel right in each key. I think it’s useful to be able to do both. If you know the chord relationships (as in the table above) you can play it in every key. This song is the subject for my next blog. I will add downloadable charts for it in a few keys, some with the corresponding ukulele diagrams. We have only been talking about major keys so far. Minor chords are notated by roman numerals in the lower case, so in the minor key they would look like this: i, iv, V. The three chords have the same functions in the minor keys, only the dominant stays major in order to use the leading properties mentioned above and take us back to chord I. This entry was posted in guitar, music teaching, piano, theory, ukulele and tagged harmony, music teaching, three chord trick. Bookmark the permalink.